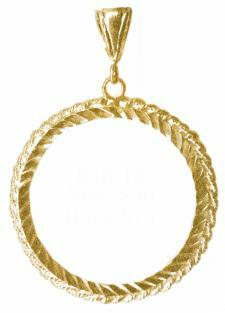 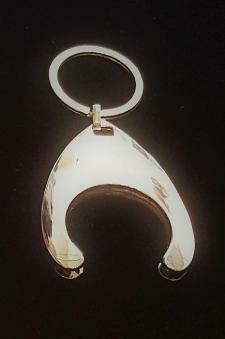 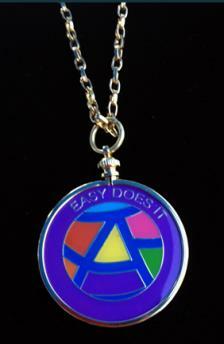 Our collection of various styled bezels some as keychains or necklaces made in silver or gold plate. 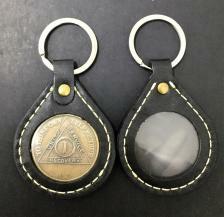 Durable metal holders made of satin or chrome finish as well as unique leather shapes. 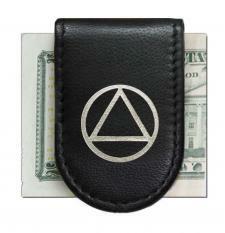 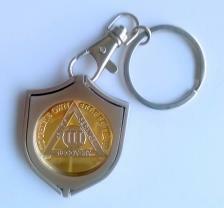 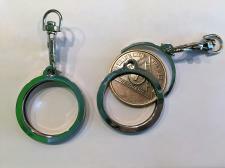 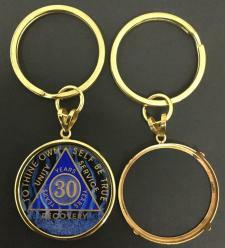 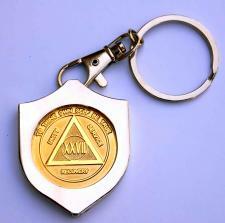 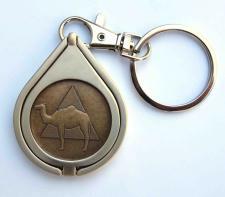 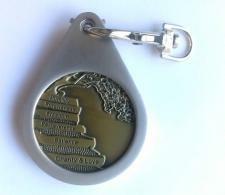 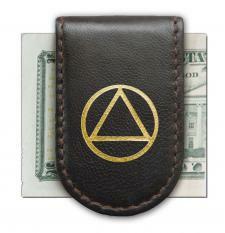 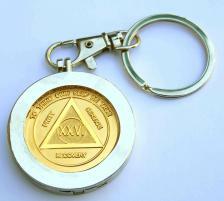 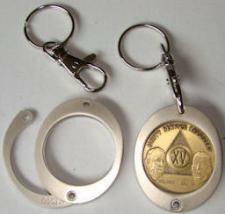 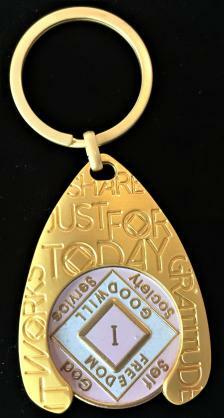 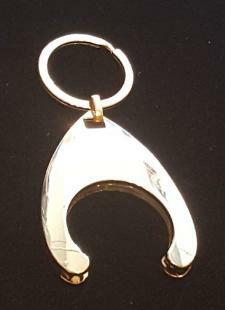 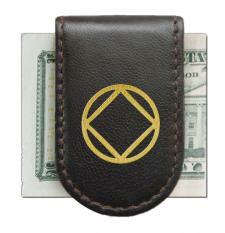 Also enjoy our beautiful and stylish brass or silver holders, along with our money clips made to hold a medallion. 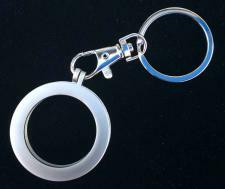 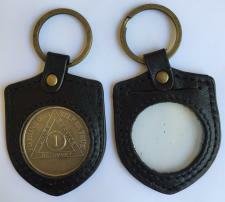 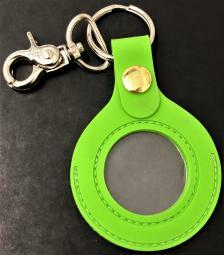 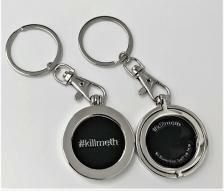 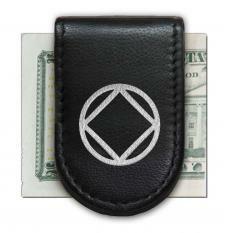 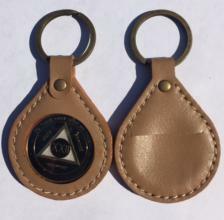 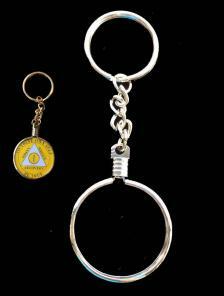 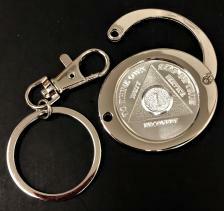 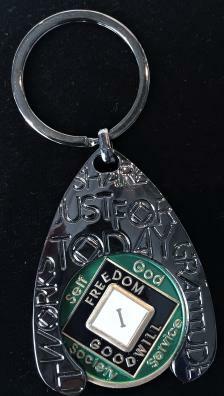 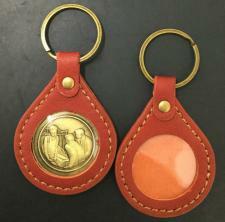 These key fob holders make memorable gifts for everyday use or those special occasions.